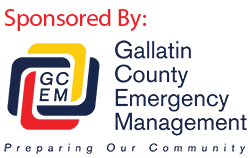 On March 13th, 2012 the Gallatin County Coroner’s Office responded to a reported death that occurred within Gallatin County. Upon investigation, it was determined that James Henry Hickert had died from blunt force injuries of the head due to a fall from a ladder. It appears as though Mr. Hickert fell from an approximate height of 20 feet, striking his head when he hit the ground. The incident occurred in the late morning. He was found by a family member later that evening. Mr. Hickert was 69 years old at the time of his death.